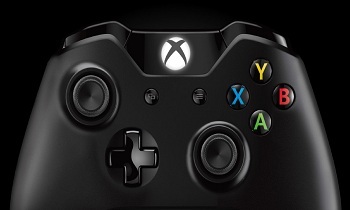 Microsoft says it will take time to make the Xbox One's controller "seamless" on PCs. One of the biggest caveats of console gaming are the limits of controllers. At the end of the day there are only so many buttons you can comfortably fit on the limited space provides and, as it sometimes happens, those limitations brush up against the ambitions of a game. PC gaming, in contrast, frequently benefits from the expanded accuracy and button options provided by the mouse and keyboard. That said, there are still times when a dedicated controller can be preferable, and while there are plenty of options to choose from, more than a few go with the Xbox 360's controller. With the Xbox One on the horizon however the question on many minds is whether or not PC gamers will be able to use its controller in the same way they its predecessor's. The short answer is yes. The longer one is not right away. "We know people want to use the Xbox One controller on their PC, and we do too - we expect to have the functionality available in 2014," said an Xbox spokesperson. The delays will come from the necessity of making sure the controller works on PCs just as well as it does on the Xbox One. "While it seems trivial, it's actually quite a bit of dedicated work for all that to be seamless for the user." Some will likely be disappointed by the delay, but considering the improvements Microsoft is implementing in the new controller, it may very well be worth waiting for.